There’s a very popular ice cream shop here in town that I felt never really lived up to the hype. There would be lines out the door, but the one time I tried something, it was icy and bland. After that I swore, never again. But then, they opened up a second location and Mike and I would walk by almost everyday. One sunny day, when there was magically no line, we popped in to take a look at the flavors. Carrot cake immediately called out to me. I mean, I love carrot cake. I had a taste, was sold, and was the happy new owner of a very addictive waffle cone full of creamy ice cream with fluffy chunks of carrot cake and cream cheese icing. It was so good that I was sad when it was over. Because, the truth is, it was over for good. I’ve been back so many times looking for carrot cake, but they never have it!? Mike and I would peek through the windows, not see it on the flavor boards, and just go on with our walk. Finally, we went in to ask when they were going to bring it back. Me: Do you know when you’re going to bring back carrot cake? Ice Cream Girl: Oh. Um, unknown. Me (with obvious dismay): UNKNOWN!? 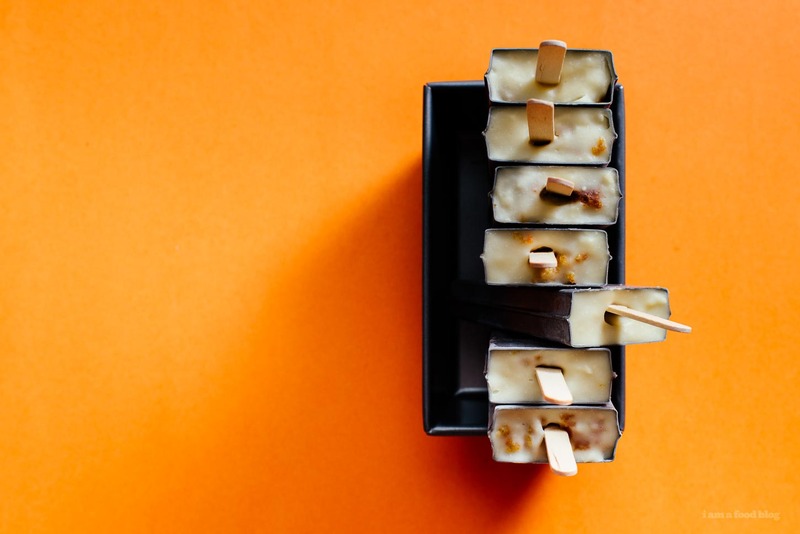 Anyway, long story short, this is why I made these carrot cake cream cheese pudding pops. Because I needed to drown my sorrows. And also because it’s popsicle week! 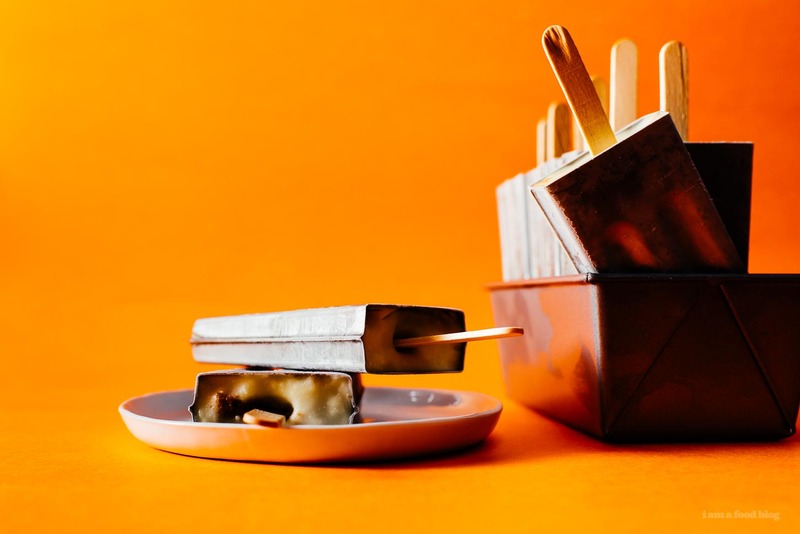 The week where the internet explodes with frozen treats, thanks to Billy, over at Wit and Vinegar. Click on over to see who else is participating. PS – As I was writing this, I just checked their Insta geotag and it looks like they have carrot cake right now!? Unless someone did a latergram? The suspense is killing me. Gotta go, gotta get ice cream!!! Update: they didn’t have the ice cream. 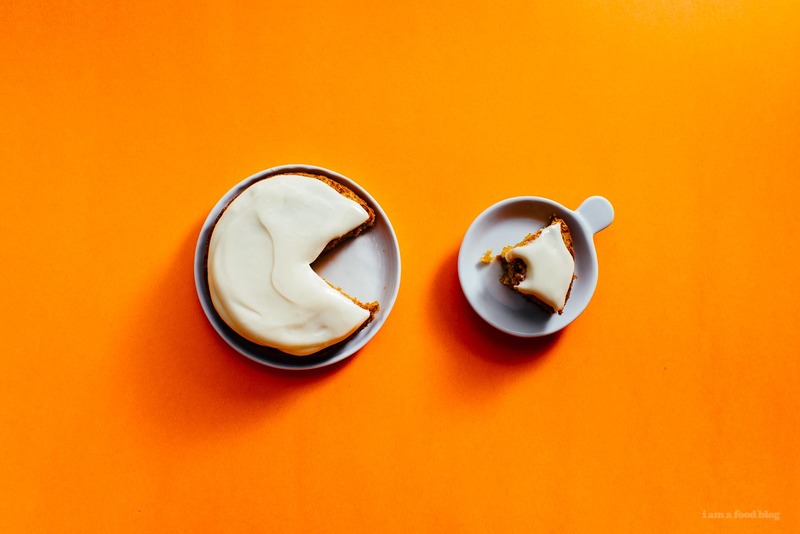 You will end up with a bit more carrot cake than needed, but extra carrot cake is a bonus! Whisk together the flour, baking soda, salt, cinnamon, and ginger in a bowl. Set aside. Whisk together the sugar and oil until light and fluffy. 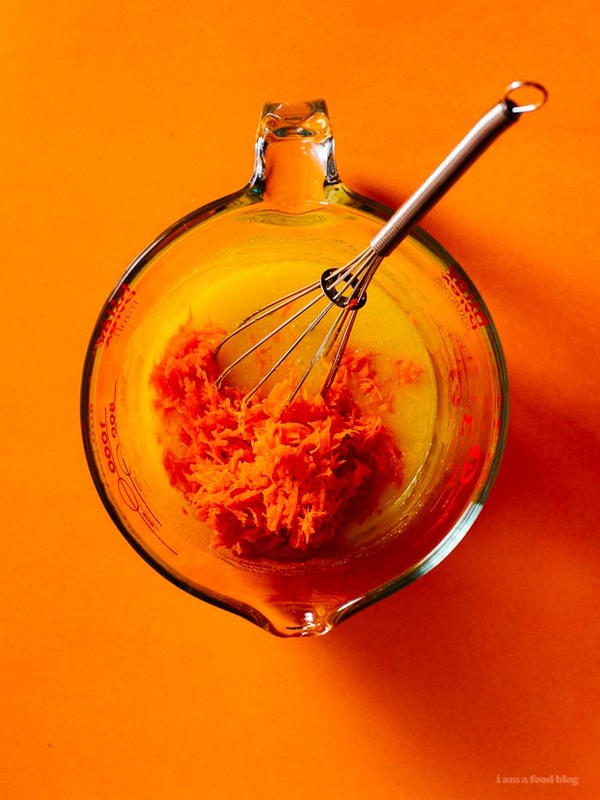 Whisk in the egg and carrots. Stir in the dry mix, pop into a parchment paper lined loaf pan or two 4-inch round cake pans and bake for 20-25 minutes, or until a toothpick in the center comes out clean. Let cool completely. While the cake is baking, make the pudding. Whisk together the sugar, cornstarch, and salt, then whisk in milk. Bring to a gentle simmer over medium-high heat, whisking constantly, until mixture starts to thicken and small bubbles come to the surface, about 3-4 minutes. Whisk in the vanilla and cream cheese until smooth. When your cake is cool, but your pudding is still warm, assemble the pops. 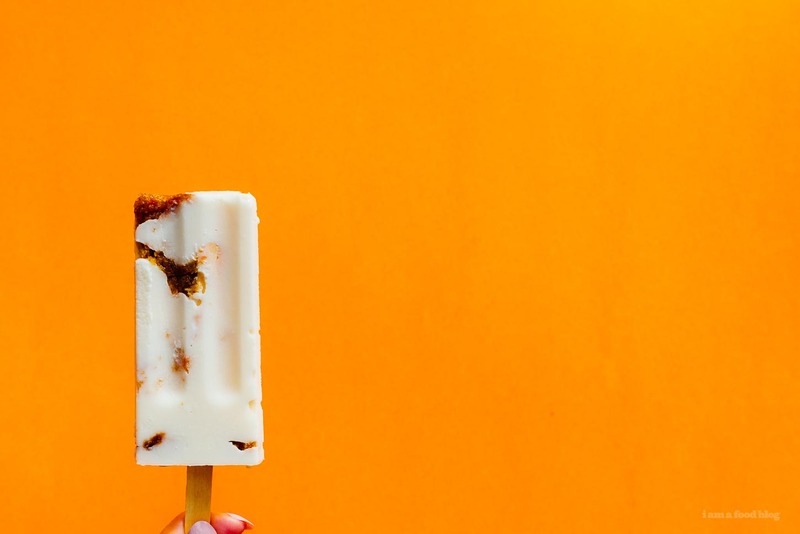 Break the carrot cake into chunks and stuff into the bottom of the mold so your popsicle stick has something to rest on. Insert the stick and loosely pack chunks of carrot cake into the rest of the mold. Spoon the pudding into the mold, tapping down so that the pudding goes to the bottom, then freeze overnight. When frozen, enjoy!